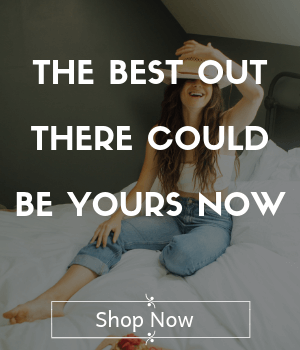 Looking for Instagram worthy quotes for love and couples? I’ve got 30 of them (currently working on another 30 Instagram captions for love). Deep feelings of wholeness with your loved one? And you can’t wait to tell the world about it, right? 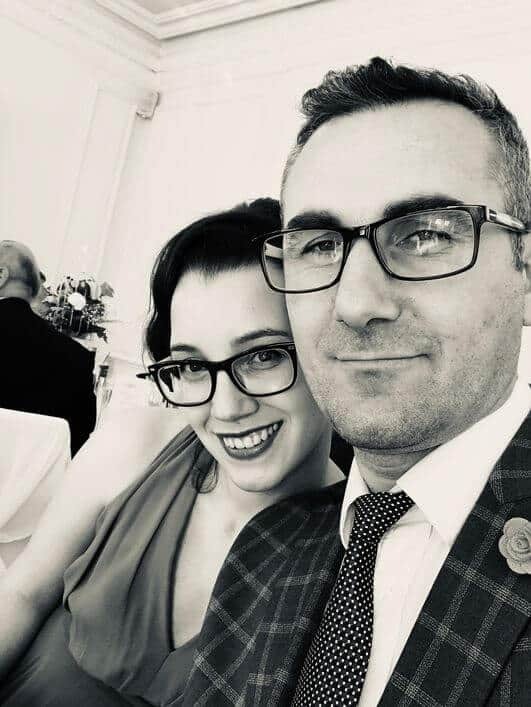 I want to help you do it in the most beautiful and touching way – with the perfect quote and the perfect photo. 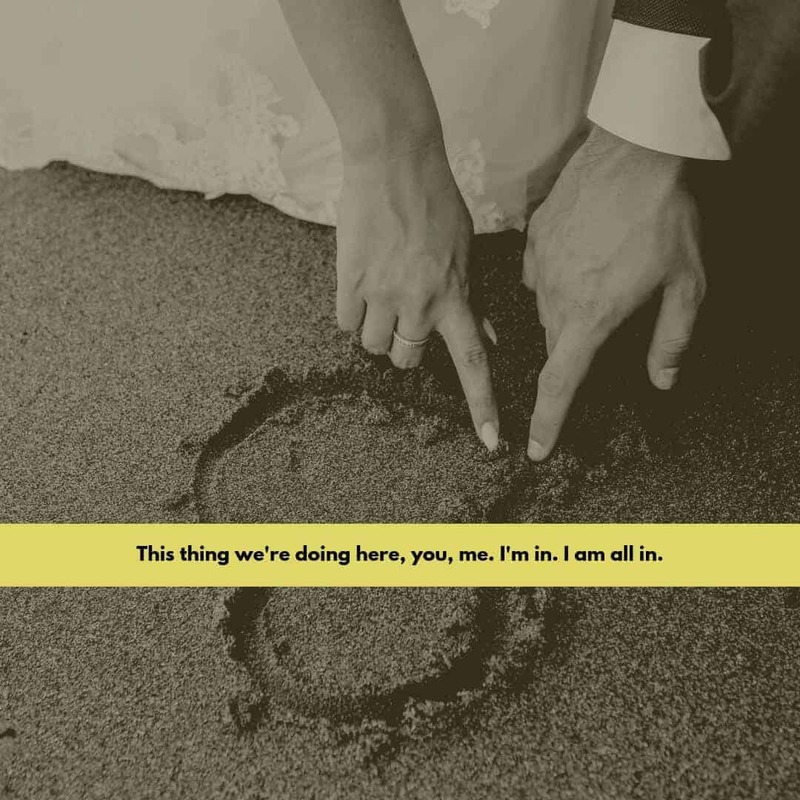 I’ve got 30 Instagram captions for love, for couples … for you. Images included, but you could always copy just the text if you’ve got your perfect photo. Copy. Share. Spread the love. To be able to publish them on Instagram, there’s a free downloadable file of all of the images below. 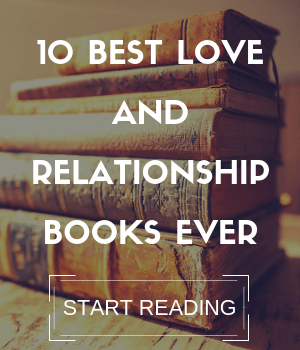 Just click here to get it now. 1. 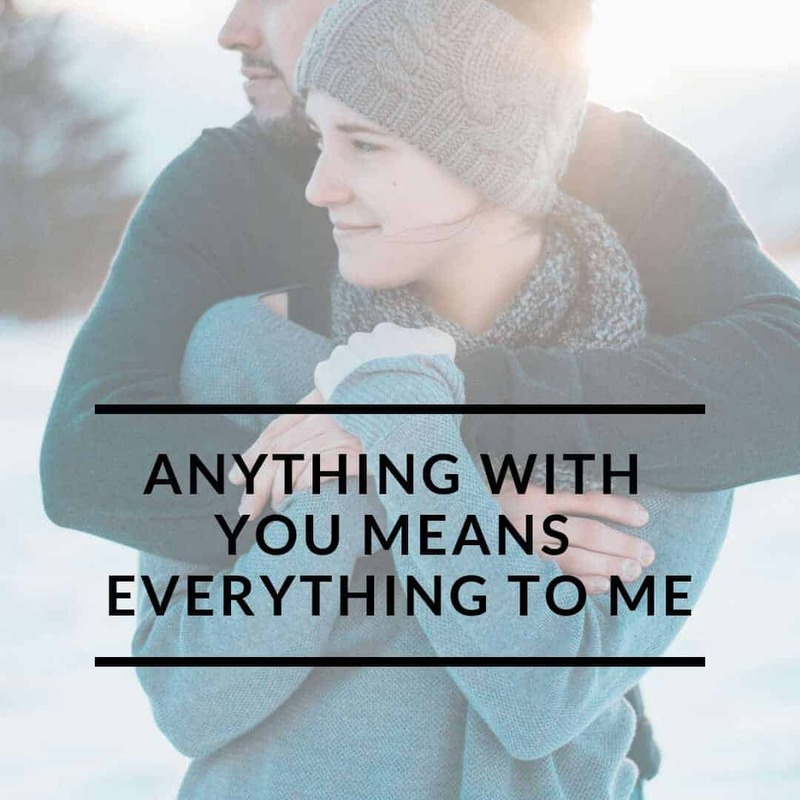 Anything with you means everything to me. 2. 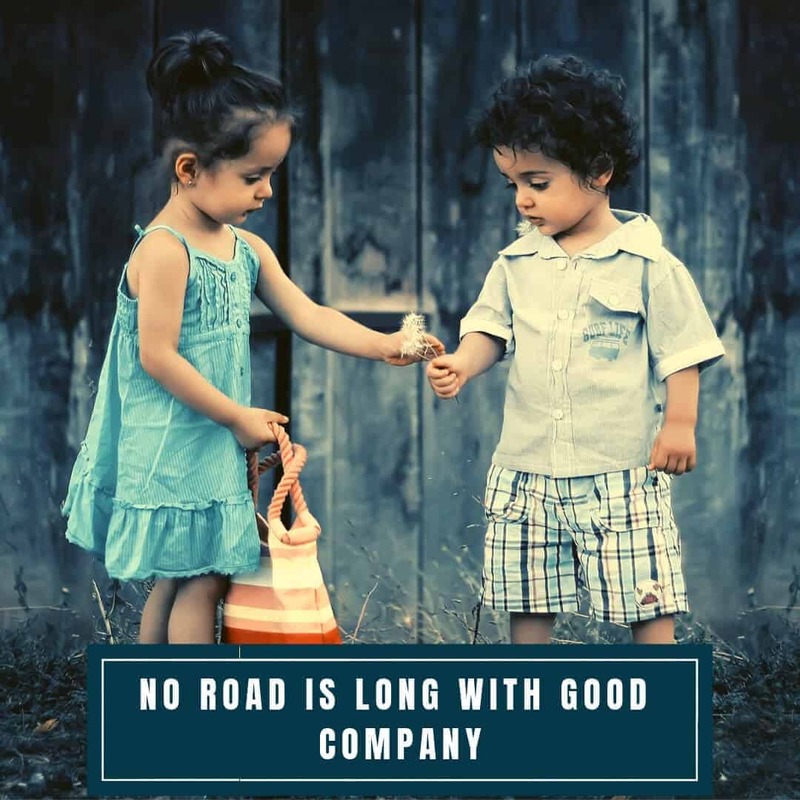 No road is long with good company. 3. 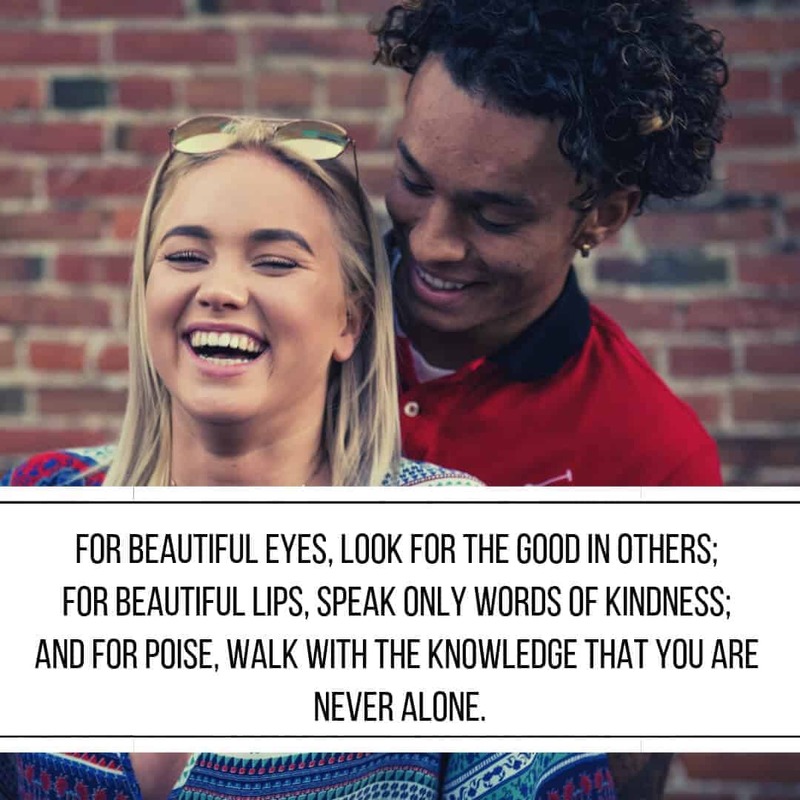 For beautiful eyes, look for the good in others; for beautiful lips, speak only words of kindness; and for poise, walk with the knowledge that you are never alone. 4. 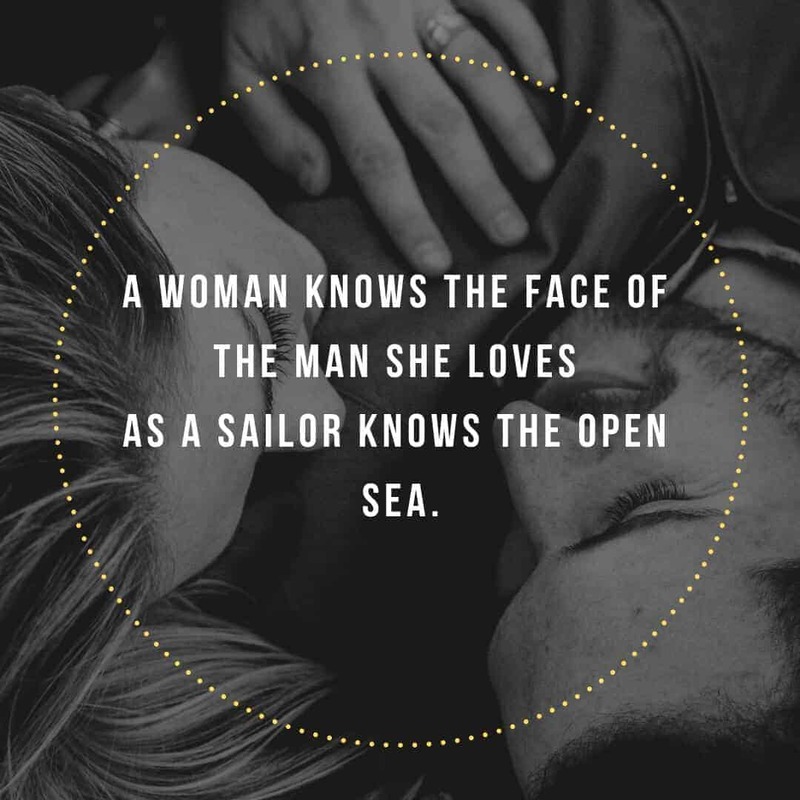 A woman knows the face of the man she loves as a sailor knows the open sea. 5. 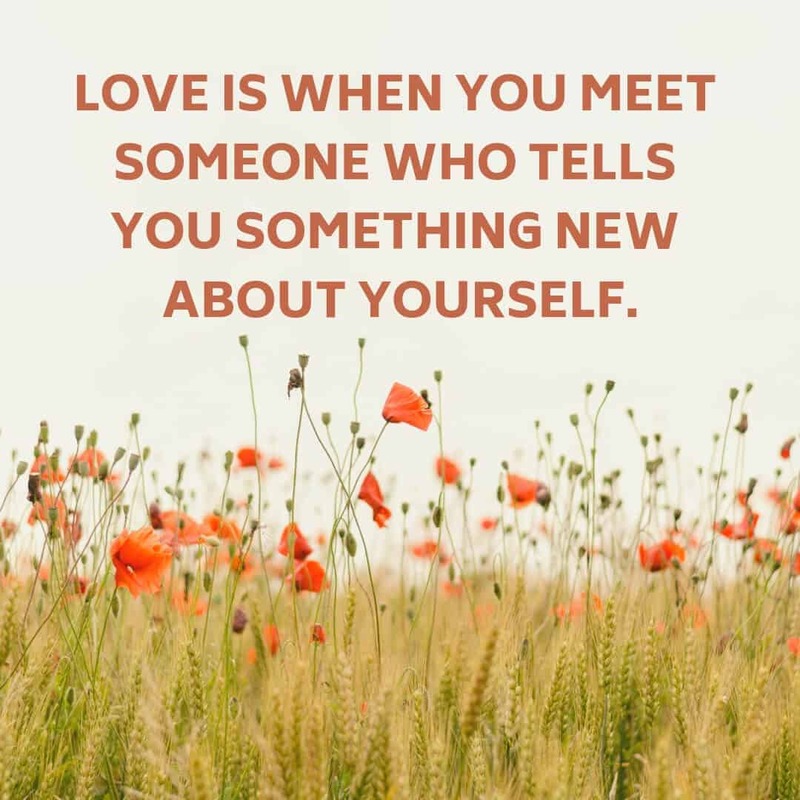 Love is when you meet someone who tells you something new about yourself. 6. 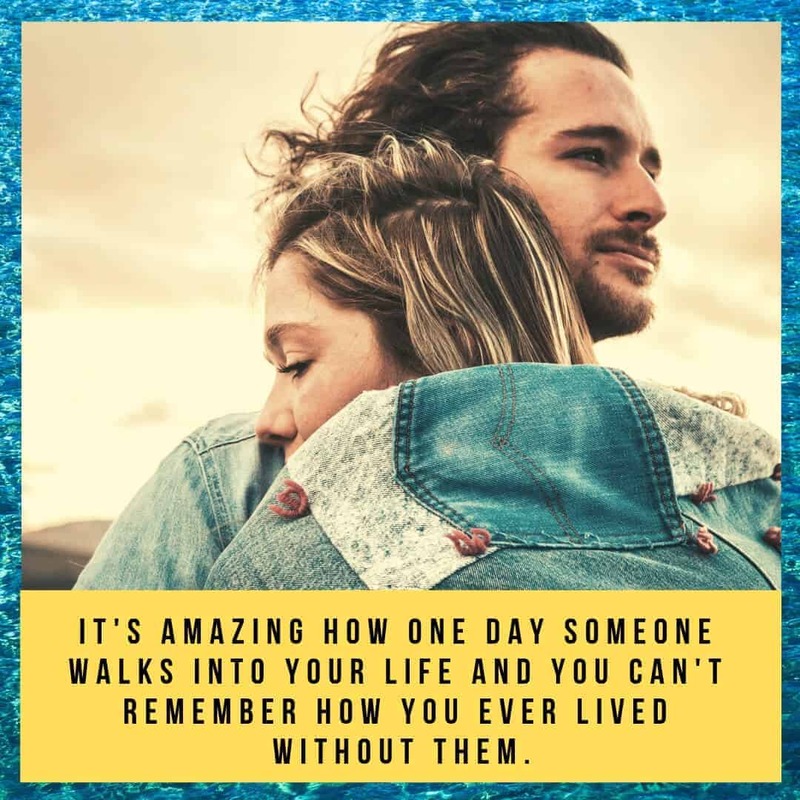 It’s amazing how one day someone walks into your life and you can’t remember how you ever lived without them. 7. This thing we’re doing here, you, me. I’m in. I am all in. 8. 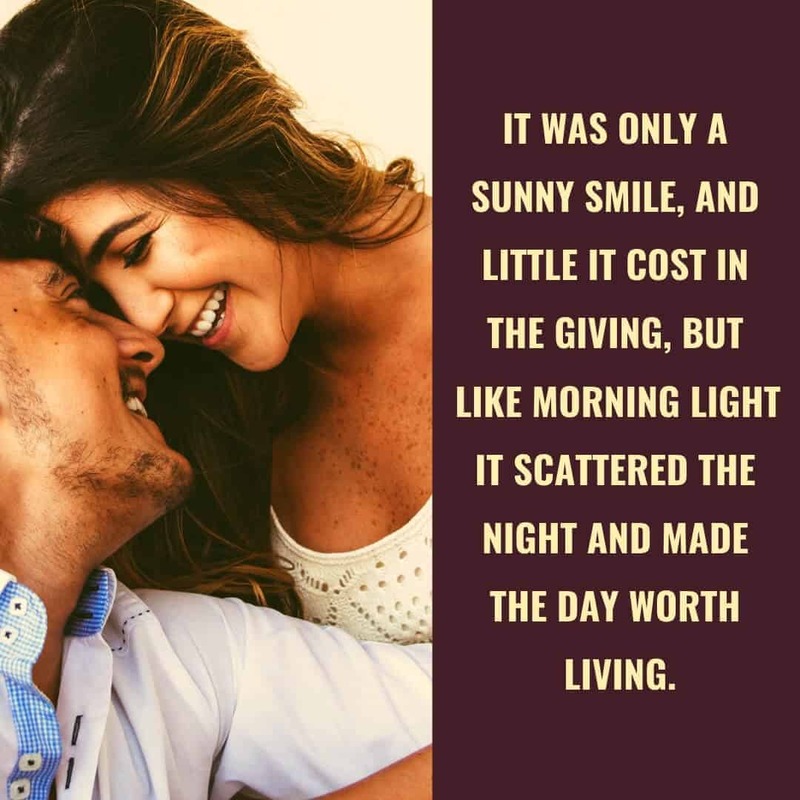 It was only a smile, and little it cost in the giving, but like morning light it scattered the night and made the day worth living. 9. 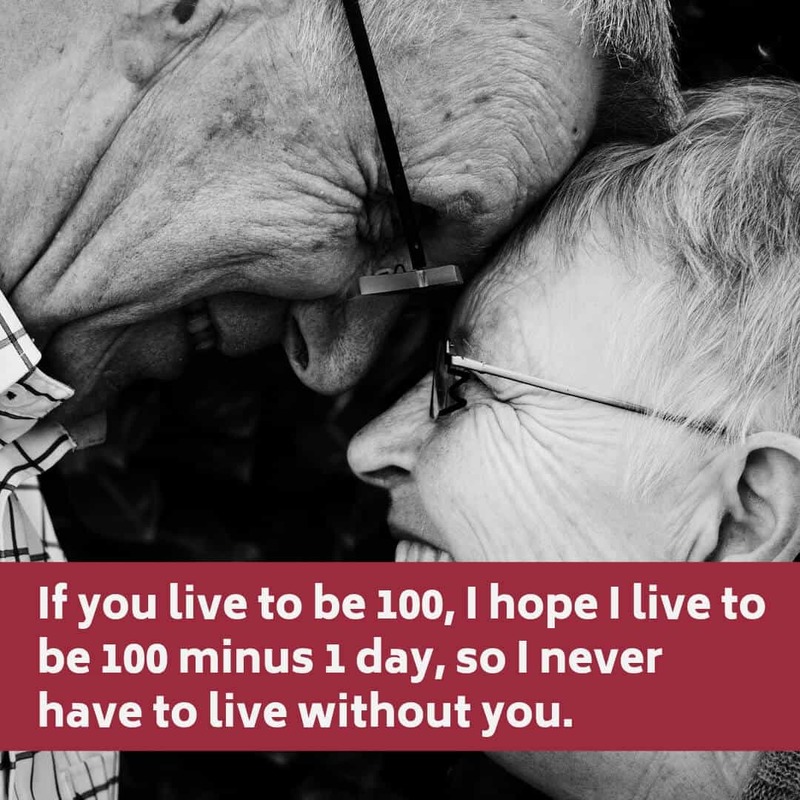 If you live to be 100, I hope I live to be 100 minus 1 day, so I never have to live without you. 10. Intimacy is the capacity to be rather weird with someone – and finding that that’s ok with them. 11. I want you. 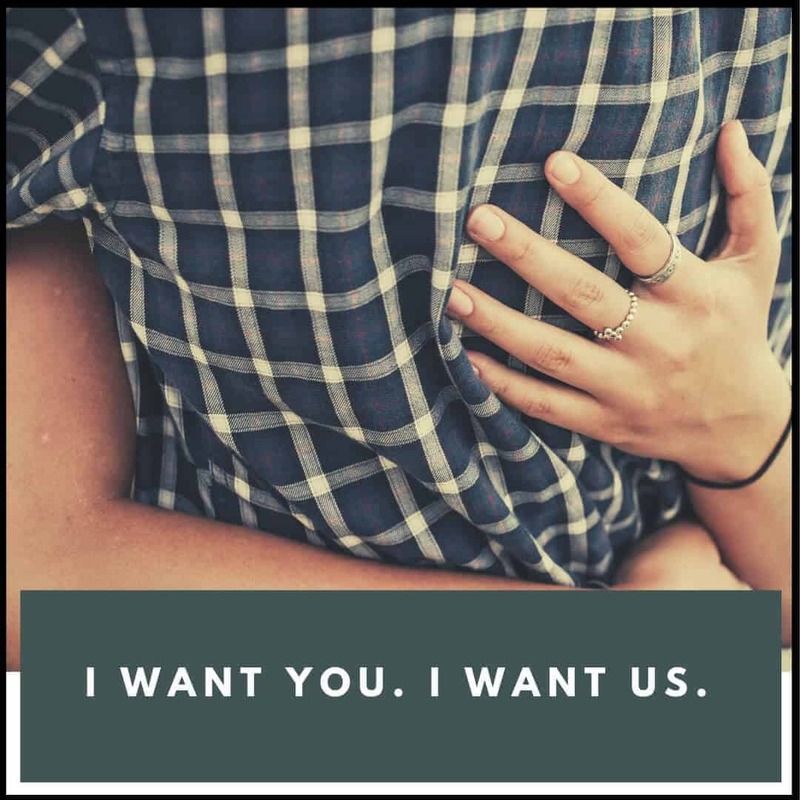 I want us. 12. I choose you! And I’ll choose you, over and over and over. Without a pause, without a doubt, in a heartbeat. I’ll keep choosing you. Download all of the 30 Instagram captions for love from here. 13. Love her like a wife. 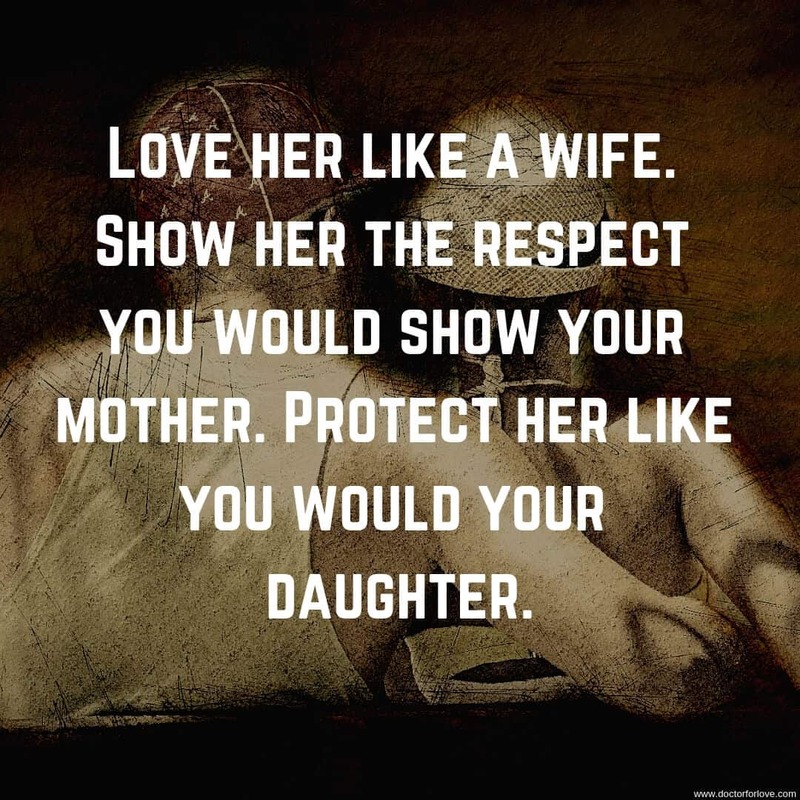 Show her the respect you would show your mother. Protect her like you would your daughter. 14. 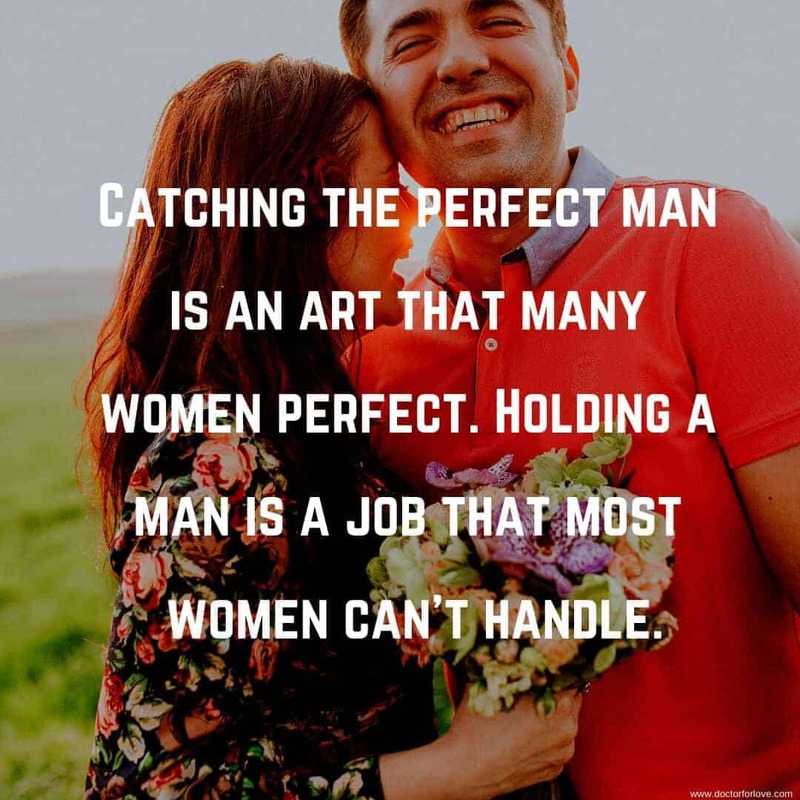 Catching the perfect man is an art that many women perfect. Holding a man is a job that most women can’t handle. 15. 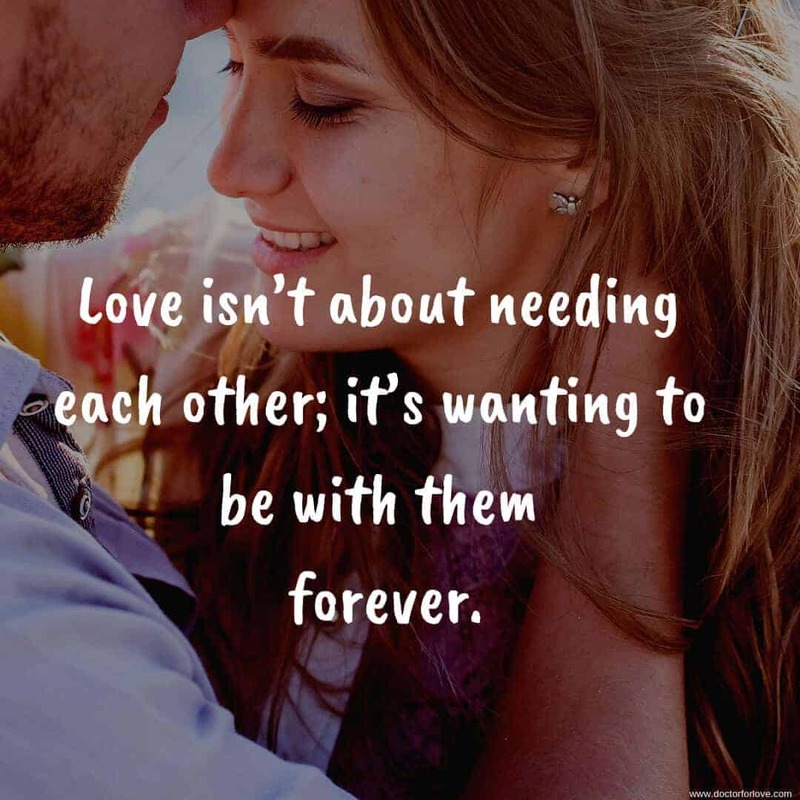 Love isn’t about needing each other; it’s wanting to be with them forever. See the next 15 on the second page of the post.